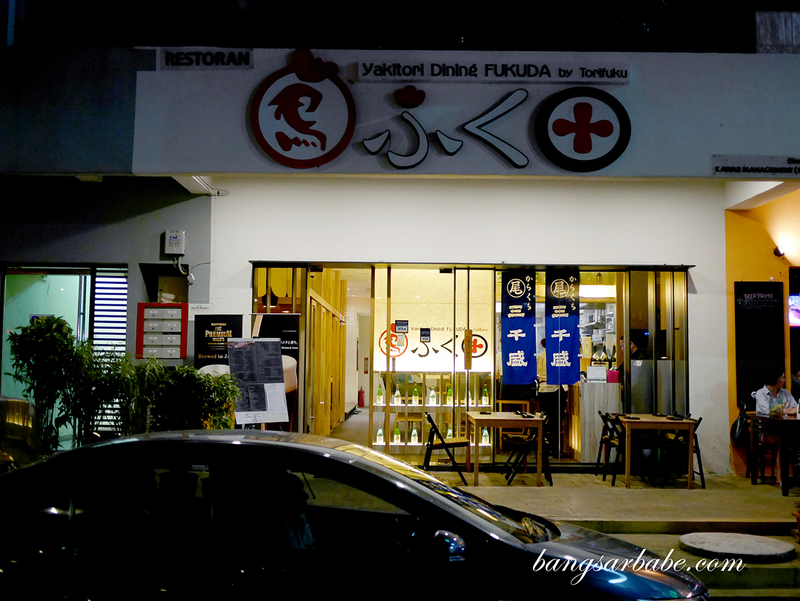 Yakitori Dining Fukuda in Desa Sri Hartamas has plenty of potential – from the amiable floor staff to skilled chefs churning out sticks and sticks of grilled meats, seafood and vegetables. 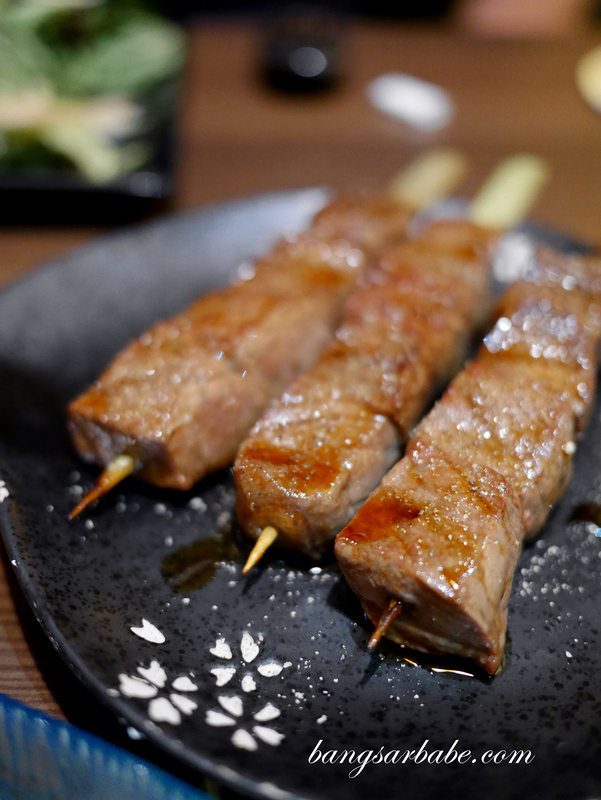 Yaki means broil, and tori means bird, but the general term of yakitori covers anything skewered and grilled. And Yakitori Dining Fukuda does it rather well. 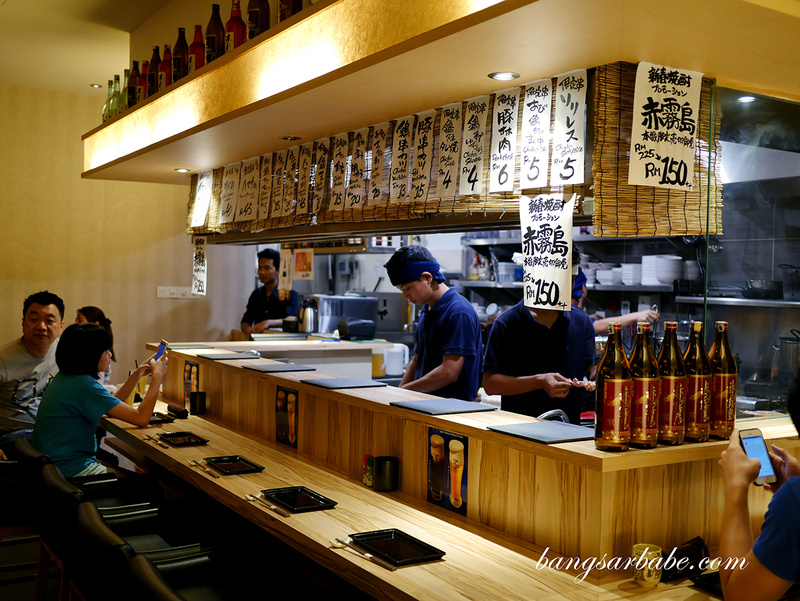 The cost per skewer varies depending on what you order, and Yakitori Dining Fukuda offers a wide range – from wagyu cuts right down to exotic chicken parts. I was told there are more than 20 parts of the chicken which can be eaten yakitori style, and here, they serve at least 15. I’m generally not keen on chicken innards but the chicken heart (RM5 per stick) was really delicious. 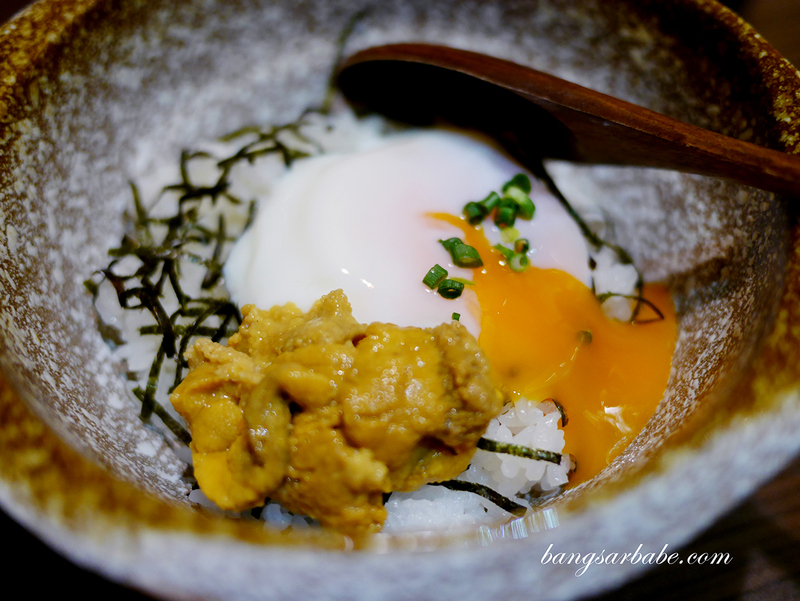 It tastes like a cross between gizzard and foie gras; rich, chewy and creamy at the centre. I wanted another one but they ran out later that night. That said, I still can’t adapt to the taste of chicken liver as despite the sweet sauce coating, the chicken had a gamey, almost metallic taste which I don’t fancy. The chicken thigh (RM5) and bishop’s nose (RM4) were equally delicious – terrifically seasoned and grilled till tender. I thought the chicken soft bone (RM5) was alright, though I would have preferred the bottom bit of the soft bone (where it forms a V) versus the centre, as the former would have been crunchier. 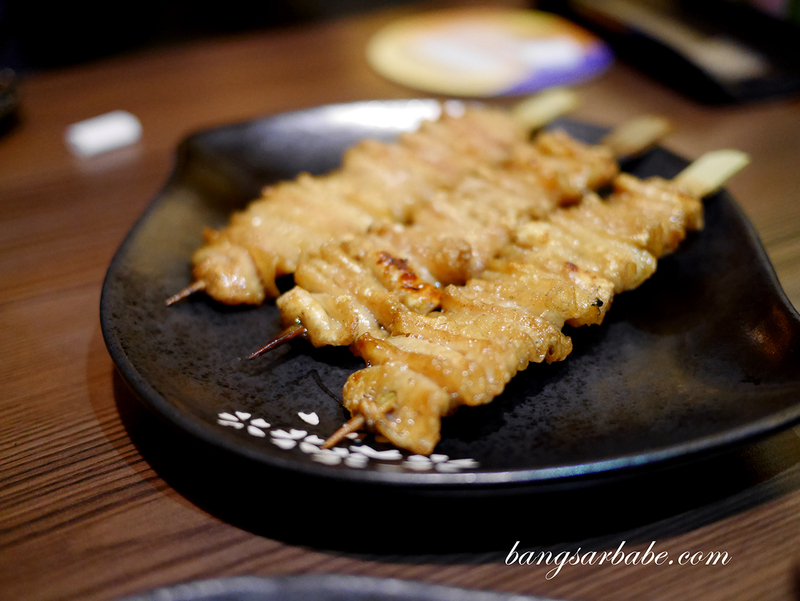 Pork yakitori is also available and they do this well. The pork belly (RM6) was crisp around the edges with plenty of flavour from the grilled fat, while the grilled scallops (RM20) were sweet and tender, and topped with bonito flakes for umami. 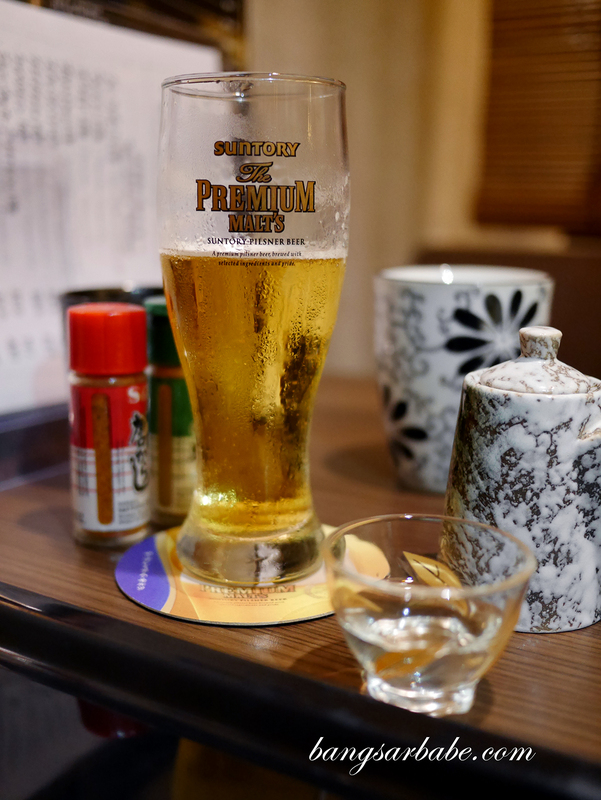 Yakitori Dining Fukuda offers a decent selection of sake, and the bottle I tried was imported from Ehime. 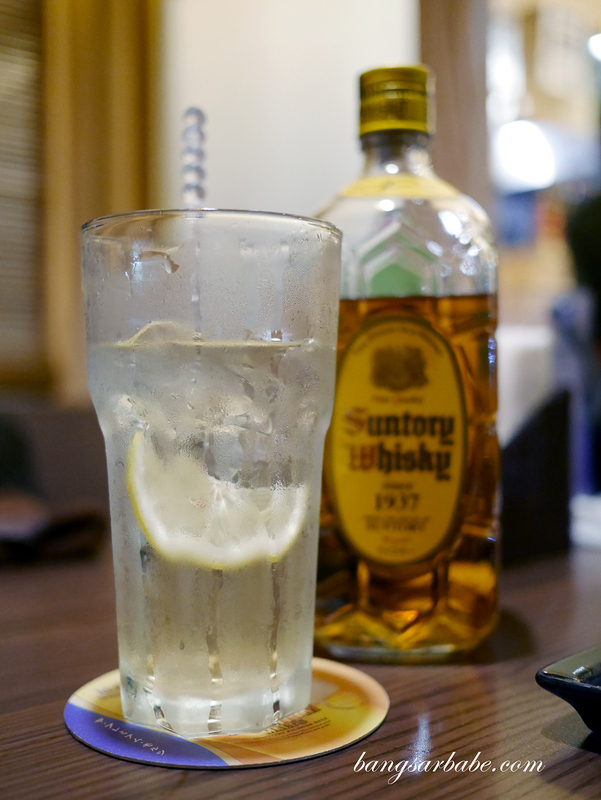 We also had some whisky highball to try, and both this and the sake went really well with salted squid gut (RM10). 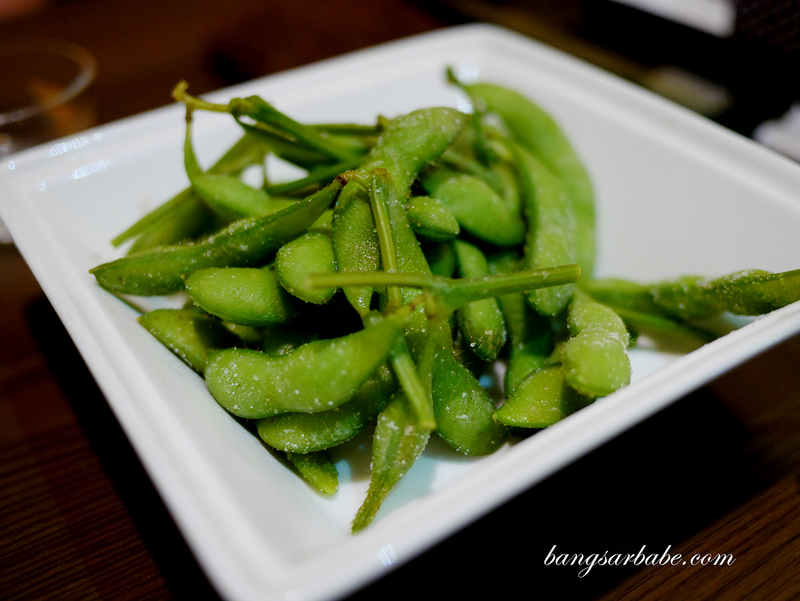 If you’re not as adventurous, the boiled edamame (RM11) would be a better choice. 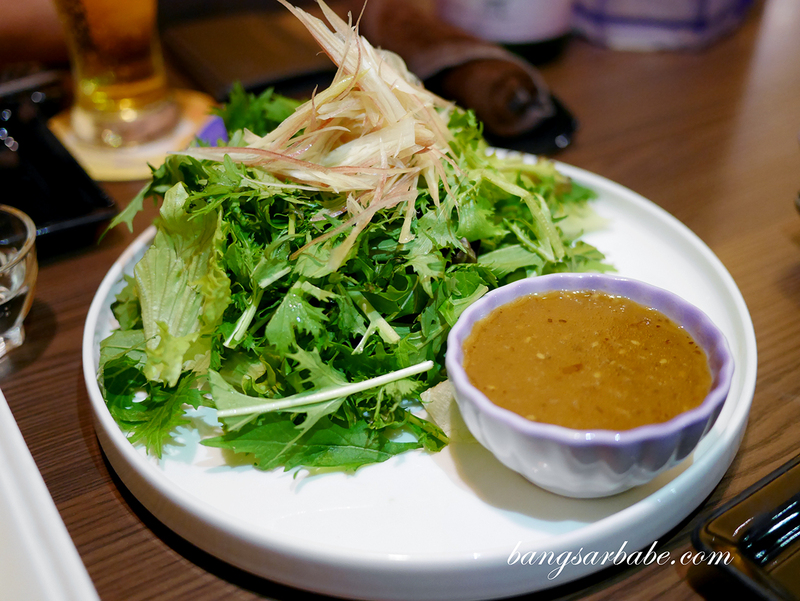 While waiting for our yakitori, we had the Mizuna Salad (RM22), a salad of potherb mustard and Japanese ginger. 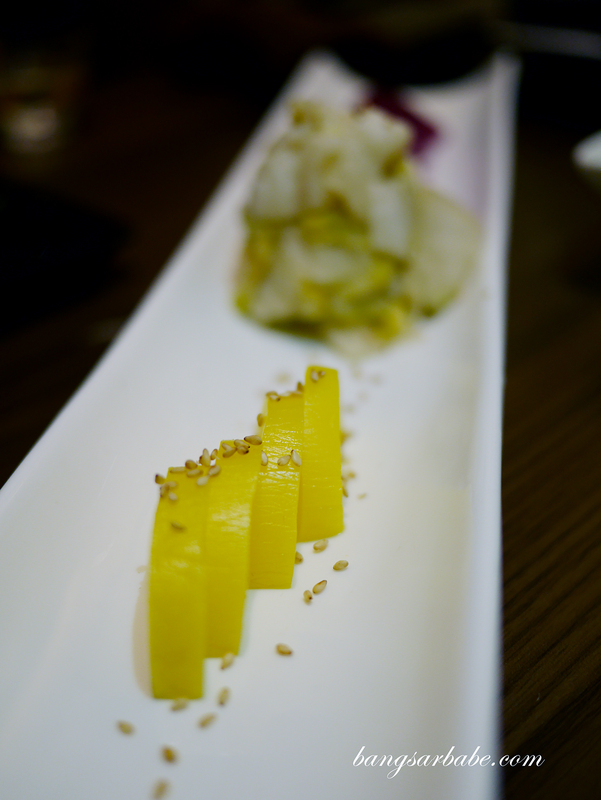 This was light and refreshing – a good palate cleanser in between skewers. 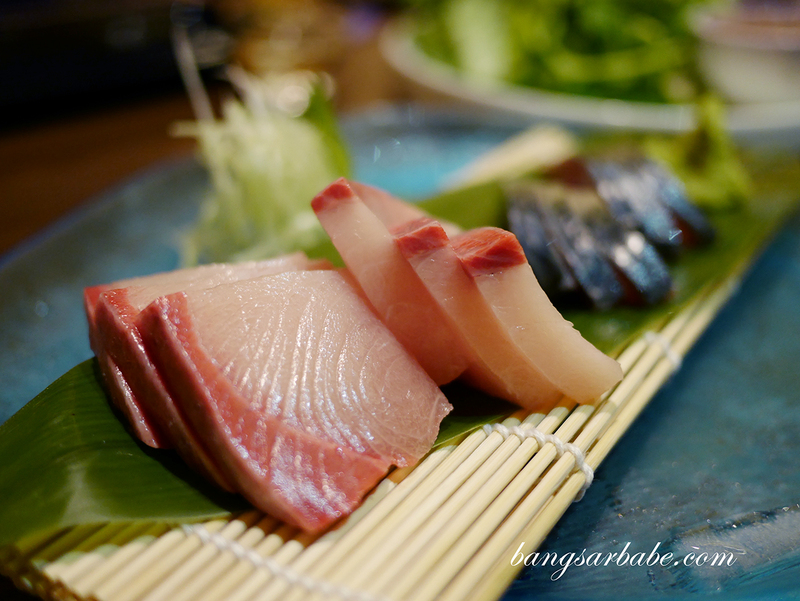 Our waiter also recommended some sashimi slices and I found the yellow tail (kampachi) to be particularly delicious. 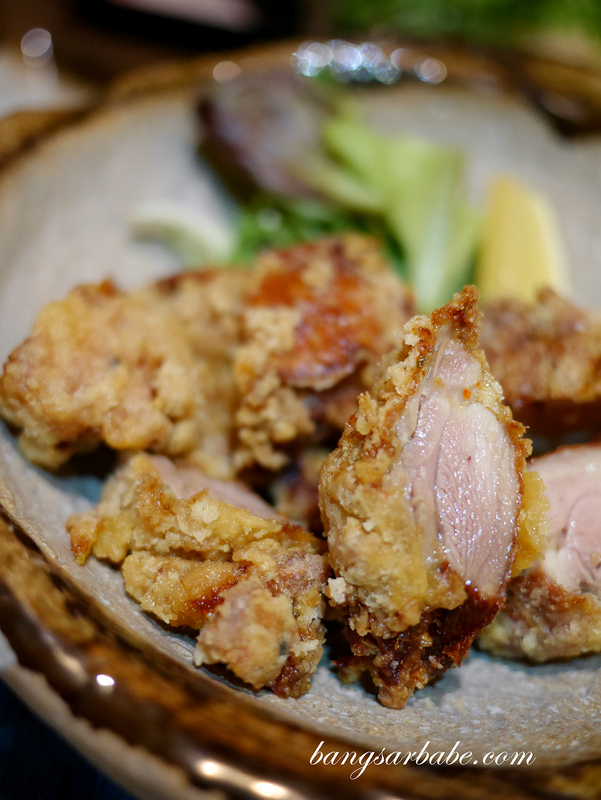 Fried chicken is customary whenever I eat at a Japanese restaurant, and this was no exception. The Fukuda Fried Chicken (RM18) features chicken leg (dark meat), seasoned and batter-fried until the exterior is golden brown and the centre, juicy. Decent, but not the best I’ve had. 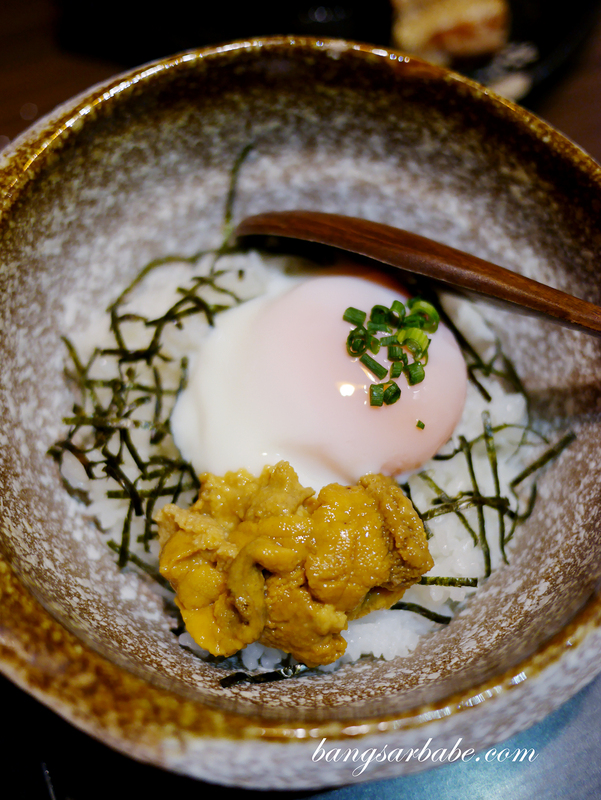 The chicken cream croquette (RM20) makes a filling snack, though I feel you should keep some stomach space for the uni don with onsen egg. 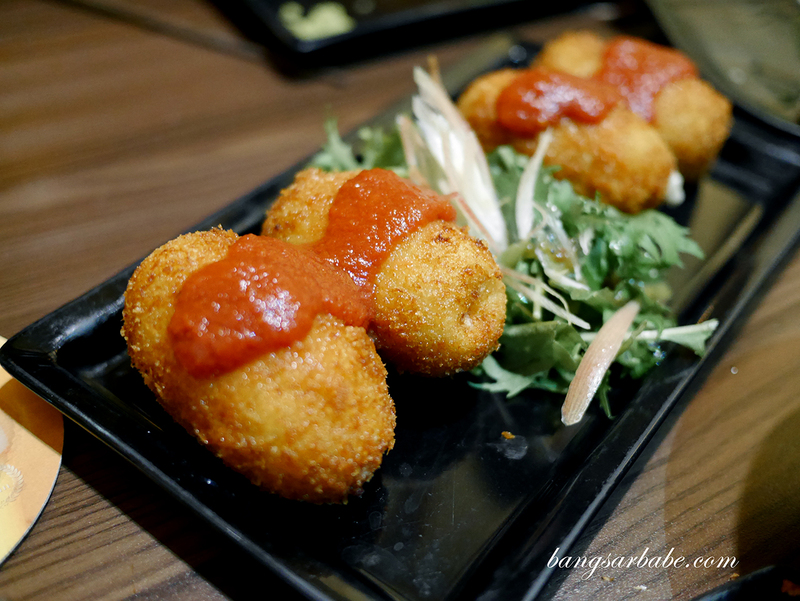 This was light yet rich in flavour – almost too good to share. 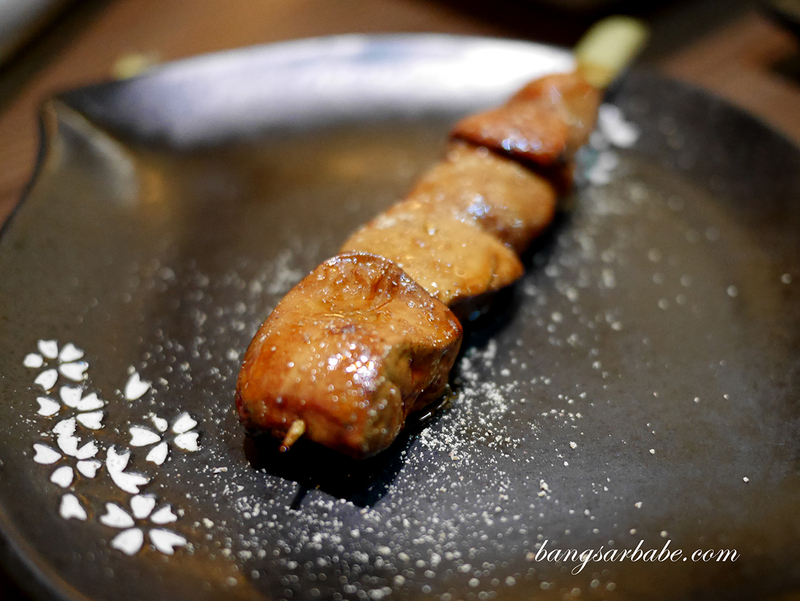 But the highlight of Yakitori Dining Fukuda is still their range of skewers, I reckon. 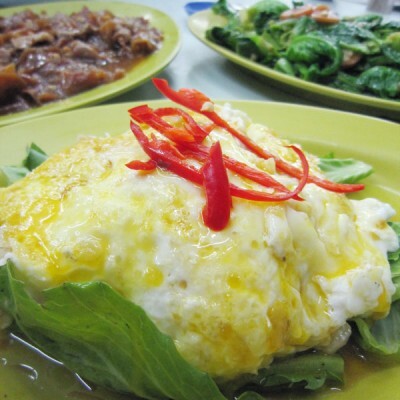 Verdict: The food is simple yet delicious. I feel this is comparable (and less crowded) to Sumi-ka in SS15.